First one of the season. It filled very quickly last year, grab your spot today if interested! Here is a new video covering some options on chain link gates that are locked up with padlocks and chain. This is a great option for the outside firefighter to make quick work of these common problems with the hand tools that should always be with you. This videos shows several different forcible entry plans for storefront doors and mortise locks. Through The Lock, Cutting The Latch, Conventional Irons Work, Jimmying the Lock and Breaking the Glass will all be shown. 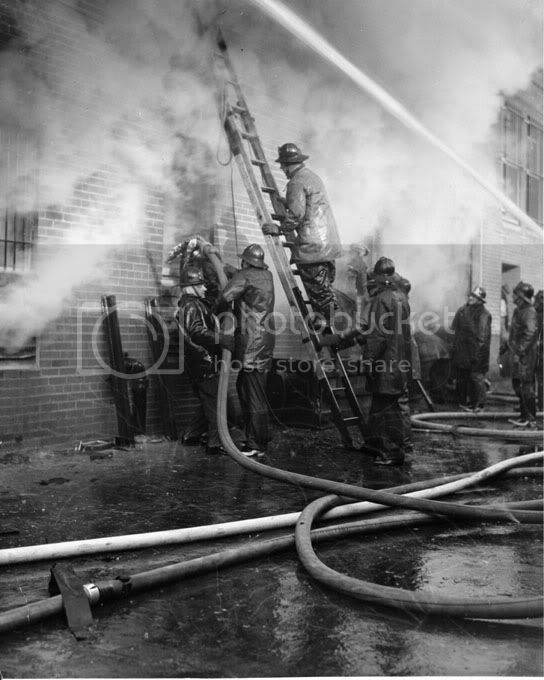 Additional through the lock videos from Irons and Ladders can be found on our YouTube channel. 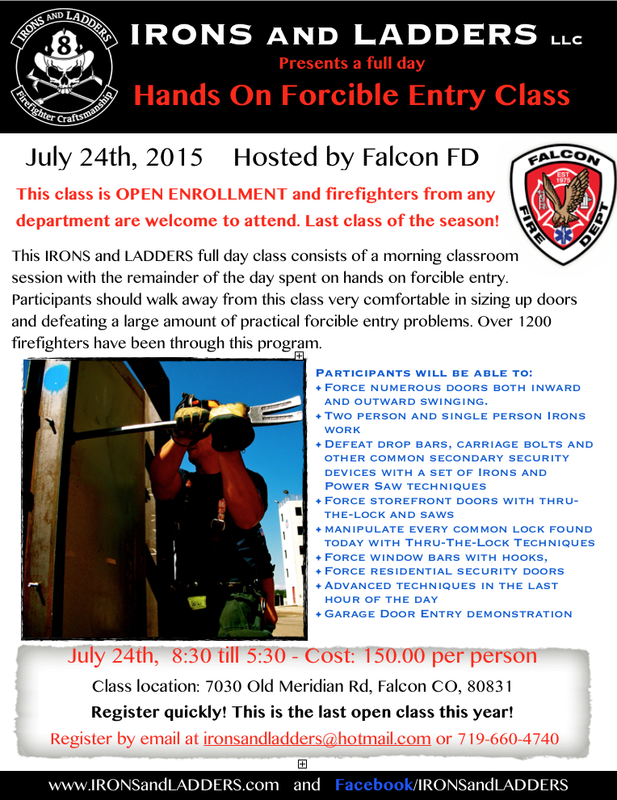 July 24th Forcible Entry Class in Falcon Colo. This will be the last open enrollment class offered this year in Colorado. July 24th in Falcon CO (just outside Colorado Springs). We have less than 20 spots available for this class. Sign up quickly or wait until next year. 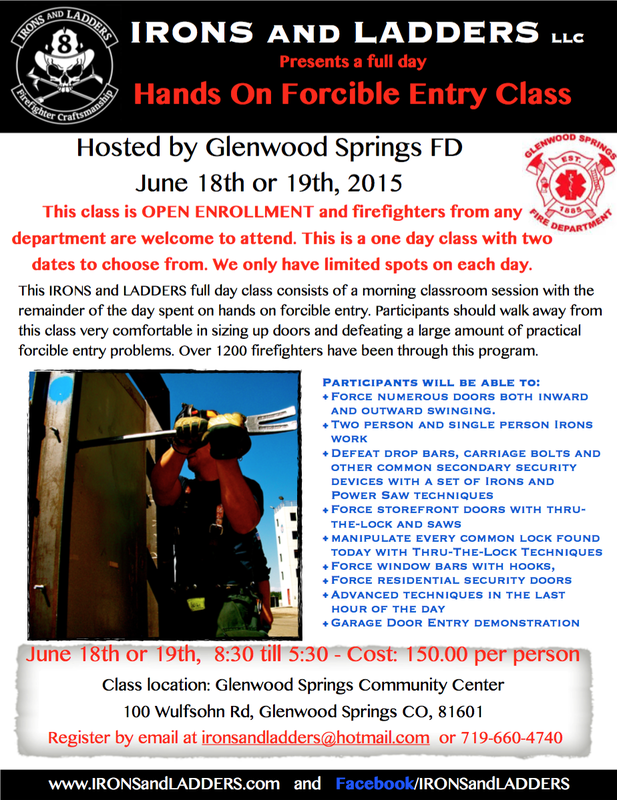 NOW OPEN – Two days of forcible entry classes to choose from up in Glenwood Springs Colorado. Only one more Forcible Entry class after this that will be open to everyone this year. Take a trip to an amazing area of our State and come break some doors. 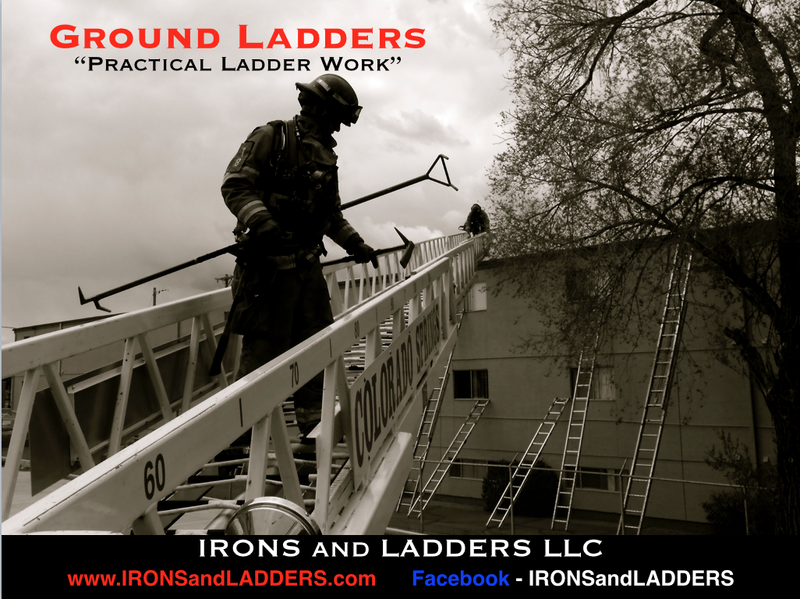 We just decided to open a limited amount of spots (around 10 people) for our Ladders Class at Fort Carson on May 13th. This will be from 9 till 5 at Fort Carsons Training Center. Please email us at ironsandladders@hotmail.com to reserve a spot. Price is 75.00 a person. Thanks and sorry for the late notice.